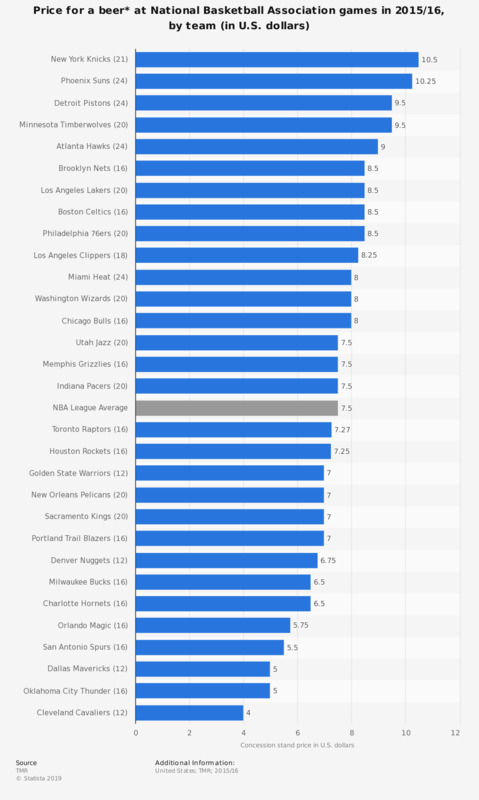 The graph ranks the teams of the National Basketball Association according to the price of a beer purchased at a concession stand in the stadium. A small draft beer is sold for 10.50 U.S. dollars at New York Knicks games in the 2015/16 season. * Numbers in brackets denote the ounces of the beverage. Based on which criteria do you usually select beer?